In a story in the anti-science website GreenMedInfo, author Sayer Ji attacked hepatitis B vaccines (HepB) based on one small, recently published study by Pande et al. I’ve previously written about Mr. Ji mostly showcasing his pseudoscience ideas, formed from a postmodernistic hatred of real science. Mr. Ji is thoroughly antivaccine, believing that vaccines subvert evolution (it’s clear that Ji thinks that those who die of vaccine preventable disease deserve to die) and that vaccines are not natural, so they harm the immune system. He also despises Bill Gates’ efforts to bring vaccines to parts of the world that would benefit from the medications. Over 5.2 billion people died in the 20th Century. Although the 20th Century ended a mere 13 years ago, from a statistics standpoint, we know we will probably die of different diseases (and other less natural causes) than our forebears. The causes of death evolve over time as medicine improves, science ameliorates risk, lifestyles change, environments shift, and politics reshape our world. British data journalist David McCandless (of Information is Beautiful) created this fascinating infographic based on a project, commissioned by the Wellcome Trust, a U.K. charity devoted to human health, called Death in the 20th Century, which shows us, graphically, the leading causes of mortality from 1900 to 2000, worldwide. Some of the numbers are shocking. Humanity is the cause of nearly 1 billion (or just short of 20%) of the deaths in the 20th Century. These numbers include war, murders, religious intolerance, suicide, and other deadly crimes that humans perpetrate against one another. Maybe the 21st Century will knock that number down, though I doubt any of us are optimistic given the way this century has started. In the 21st Century, the numbers of deaths from these diseases will probably be in the few thousand worldwide. Why? Because of vaccines. Not better sanitation. Not better health care facilities. But because of vaccines. And in the 21st Century, as more vaccines are developed and brought to market, many of these infectious diseases will be less of a problem. Vaccines saves lives. Literally hundreds of millions of lives. 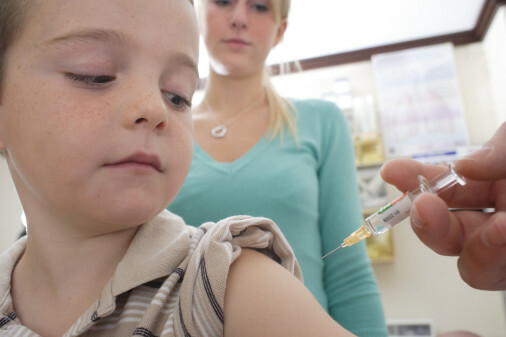 The state of West Virginia (WV) has one of the toughest child vaccination regulations in the United States, not allowing any religious exemptions to vaccinations required before attending school. Only Mississippi has regulations this strict for allowable exemptions. Of course, as I have written, religious exemptions have been abused by vaccine deniers by creating “fake” religions so that parents’ antivaccination beliefs will be recognized by the state. In fact, only medical exemptions are accepted by the state (pdf), and their standards on who can meet the medical exemption are quite tough.